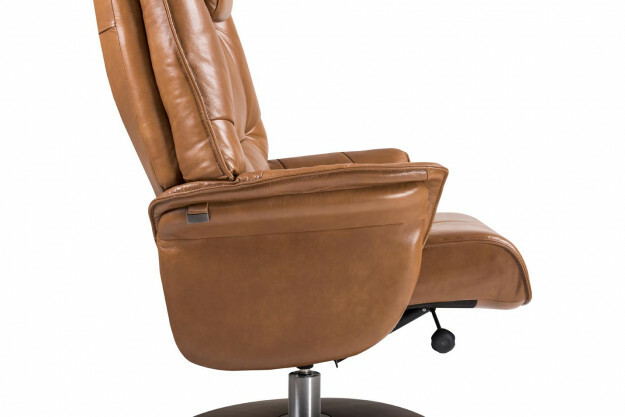 This recliner has an enlarged head cushion to provide that extra head and shoulder support. 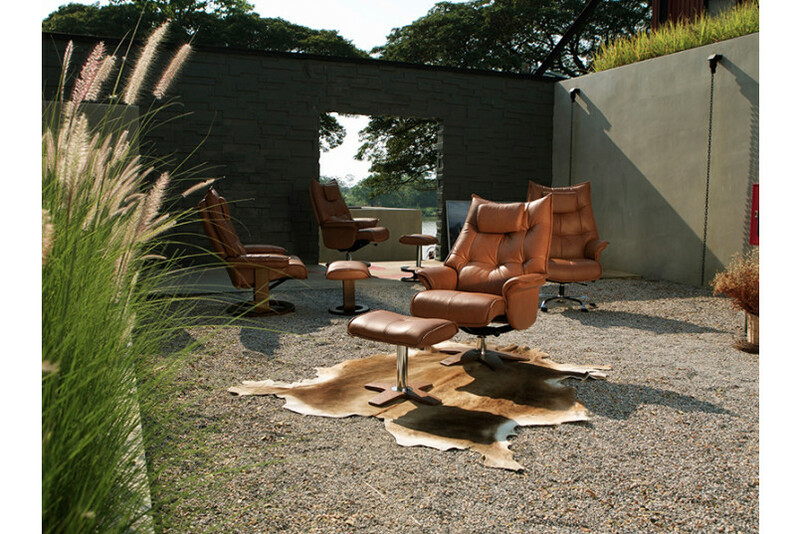 This tan leather upholstered recliner is a swivel glider with wooden base and steel legs which can rotate 360 degrees making it an ideal usage accessory. 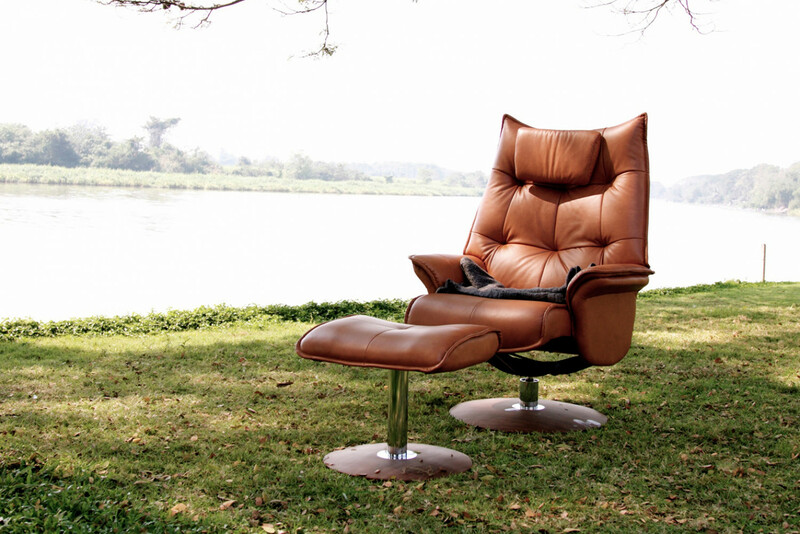 Put your head back and relax in this chair. Beautifully tailored for transitional tastes with up-to-date features, Hana is a must pick. Just gently swing around and simply swirl! 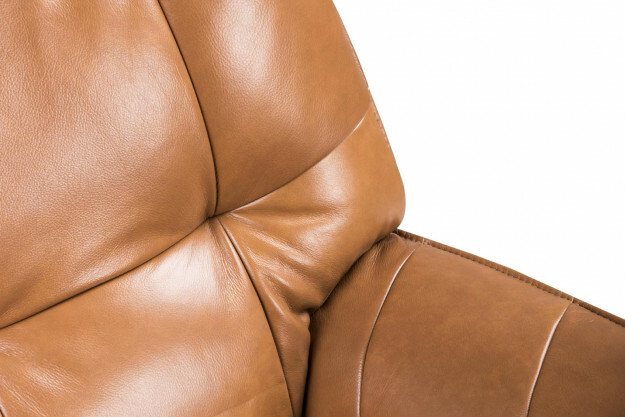 Graceful arm rests with elbow nooks for padded comfort.